ITS A DRY , WARM, BRIGHT MORNING AND THE EDEN IS IN GOOD CONDITION. ITS A WARM MORNING AND THE RIVER CONDITIONS ARE UNCHANGED. ITS A DRY , COOL AND OVERCAST MORNING AND THE RIVER CONDITIONS ARE UNCHANGED , STILL GOOD. ITS A COOL BRIGHT MORNING AND THE EDEN IS AT A PERFECT HEIGHT FOR A DAYS FISHING. ITS A DRY OVERCAST MORNING AND THE RIVER CONDITIONS ARE PERFECT FOR A DAYS FISHING. THE EDEN IS STILL IN VERY GOOD CONDITION FOR A DAYS FISHING AND IT IS A DAMP MORNING WITH PLENTY OF CLOUD AND QUITE WARM. THERE HAS BEEN SOME RAIN OVERNIGHT AND IT LOOKS LIKE ITS BRIGHTENING UP. THE EDEN IS IN NEAR PERFECT CONDITION WITH THE WATER CLEARING AND DROPPING YESTERDAY . ITS A NICE DRY MORNING WITH A SLIGHT BREEZE . THE EDEN HAS DROPPED TO A NICE FISHABLE HEIGHT AND IS CLEARING NICELY . WELL WORTH FISHING. THE EDEN DROPPED OFF NICELY LAST NIGHT , BUT MORE OVERNIGHT RAIN HAS BROUGHT IT UP AGAIN MAKING FLY FISHING DIFFICULT AND ITS STILL RAINING NOW , SO THERES A GOOD CHANCE IT WILL RISE SOME MORE. THE RAIN OF THE LAST 24hrs HAS BROUGHT THE EDEN UP 12" AND THE WATER IS STILL QUITE CLEAR BUT IT HAS LEFT SOME DIFFICULT FISHING CONDITIONS , YET STILL FISHABLE. ITS A BRIGHT MORNING AND YESTERDAYS RAIN HAS BROUGHT THE EDEN UP 3-4 INCHES WHICH MEANS IT IS NOW RUNNING AT ITS NORMAL HEIGHT . VERY FISHABLE. ITS A WET MORNING WITH SOME HEAVY BURSTS OF RAIN , BUT ITS STILL WARM. 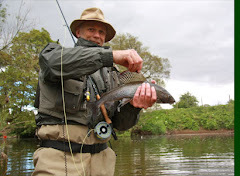 THE RIVER LEVEL IS UNAFFECTED BY THE RAIN AS YET AND CONDITIONS ARE GOOD. 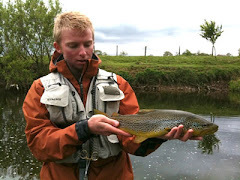 ITS OVERCAST AND TRYING TO RAIN AT THE MINUTE .THE EDEN IS SLIGHTLY LOW AND CLEAR BUT STILL FISHING WELL. THE EDEN IS A LITTLE ON THE LOW SIDE ,BUT STILL FISHING WELL WITH SOME IMPRESSIVE EVENING RISES AND A MIX OF SPORT THROUGH THE DAY DEPENDENT ON HOW BRIGHT THE CONDITIONS ARE. THE WEATHER IS DRY AND BRIGHT WITH PATCHY CLOUD. It's an overcast morning,but slightly warmer than previous mornings. River conditions good. ITS NICE AND COOL THIS MORNING WITH SOME PATCHY CLOUD AND THE RIVER CONDITIONS ARE STILL VERY GOOD. Its a overcast morning and a bit cooler than recent days. The eden is unchanged and looking highly fishable. Yes you've guessed it, another warm and sunny day. 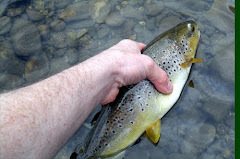 The heavy rain yesterday brought the eden up very slightly, but it is still very fishable. Overcast and the sky is dark , just had a heavy shower and the river is still perfect. Another hot day with a few clouds about and the eden is unchanged. No great surprises here , its hot , bright and the river is still at a good height and clear. Looks like were in for a very hot day and the eden is still in very good shape. Looks like were in for a hot bright day and the river conditions are unchanged. Looks at the moment that were in for a warm , bright day and the eden is in very good condition. Its a sunny warm morning up here and the river is in excellent condition and fishing well. The eden is in great condition (as previous days) and the weather is dry , warm and overcast. Its a dry, warm , sunny day and the eden is at a perfect level. It's a dry, sunny morning with very little breeze. The river is at a perfect level. 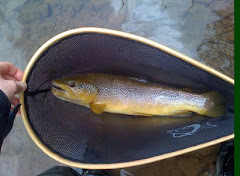 Last nights rain does not seem to have affected the river at all, conditions are still very good.